Emails have been one of the most important channels of communication, particularly for businesses. As more and more individuals have started switching over to mobile text messaging, instant messaging (IMs) or social media, email solutions seems to have lost its sheen. However, this isn’t really true for businesses where emails are still the most popular medium for communication. 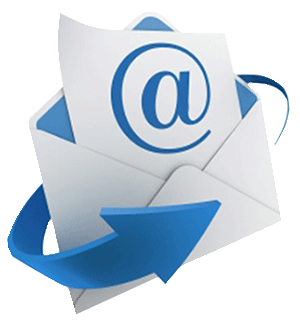 Professional: First and the foremost, business email services provide a professional image to your business. Once your customers know that you have a good reputation in the industry they will be at ease to do business with you, as they would be aware that they are dealing with professionals. More Credibility: By having a professional email account you can offer your business with much-needed credibility. As your customers can easily visit your website, and know about you, it will help you in gaining the trust of your customers. Builds Brand Value: As a professional email account is associated with an easily recognizable and unique domain address, it allows your customers to visit your website and know about you. This way the customers can easily associate with your brand, hence increasing your brand value. More Control: Professional Email offers more control and more features than a free email account. You can easily choose the space you need, and also customize it depending upon the requirement. One can also select advanced features like monitoring, grouping, privacy (anti-spam & anti-virus) and much more. Cost-Effective: Business email solutions cost nothing as compared to the benefits you get from them. Getting business emails makes a smart and valuable investment for your business.